Strap-on temperature sensors with cable supplied with strap-on band. 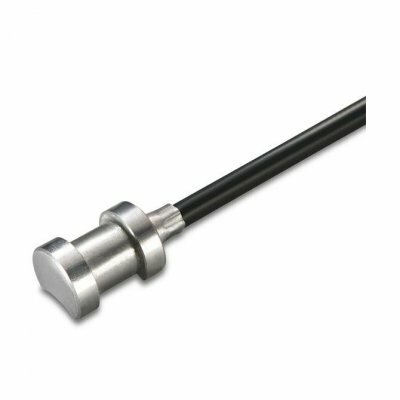 The strap-on temperature sensor TSC is used for sensing the temperature of pipework in heating, ventilation and air conditioning systems. other sensing elements on request. NTC 10K and +/- 0.42°C for PT1000. Strap-on temperature sensor TSC have 1 meter PVC cable to be used up to max 105°C. 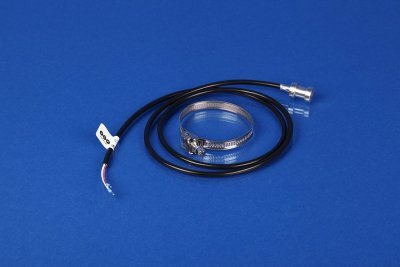 TSC strap-on temperature sensor have simple 2-wire connection, 3-wire and 4-wire on request. Strap-on temperature sensor TSC is an economical way to measure temperature. than NTC 10K and PT1000. Ordering code for TSC with NTC 1.8K sensing will be TSC NTC 1.8K. Ordering code for TSC with NI1000 sensing will be TSC NI1000.